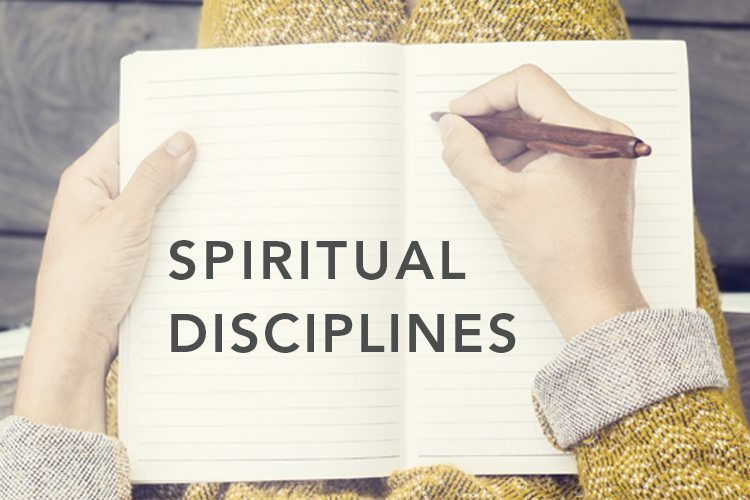 With our emphasis on knowing God’s Word in 2018, we’re excited for this new series on spiritual disciplines. 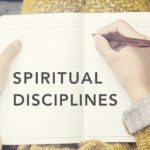 Each month, we’ll unpack a different spiritual discipline, defining it as well as offering some ideas for practical application! Several years ago, I set out to rediscover evangelism. I have always enjoyed talking to people, and I love sharing the gospel, but the two were not blending well in everyday life. As I put my dilemma to thought and prayer, I was struck with a realization. Evangelism begins in ordinary moments. Gospel conversations always begin with a conversation. As Christ followers, we long to be evangelistic but tend to underestimate the possibilities a simple conversation can lead to. Joining a discussion about current events. Jesus modeled how common conversations lead to gospel conversations. He often began talking to people by bringing up a shared experience. At a well, Jesus spoke with a woman about its history, then offered Himself as living water. By His willingness to embrace a conversation, Jesus created moments to share the gospel. Several years ago while sitting on the plane in my usual window seat, I began to pray for a way to start a conversation with the woman beside me. After we both gave our drink order, I asked if she was traveling for business or pleasure. She replied with a smile that she was returning home after a vacation and golfing trip. I love to watch golf. In fact, one of my favorite tournaments is in the area we were flying out of and is famous for its 17th green. I asked if she played it—and she had! We quickly connected on a topic we mutually enjoyed. By the time we were flying over the Grand Canyon, while both gazing out of my window, I was able to tell her about creation, the flood, and God’s miraculous work of redeeming our broken world. The secret I have found which creates evangelistic moments is not so secret. It’s simply looking for shared interests to talk about. This is what the Apostle Paul spoke of in 1 Corinthians 9 when he said he was willing for Christ to use anything in his life to share the gospel with others in similar situations. “I do all this because of the gospel…”1 Corinthians 9:23a (CSB). Hobbies, family, clothes, needs, daily routines, sports interests, and jobs can all lead to moments for gospel conversations. It took me a split second to realize a woman behind me was referring to my watch. Standing in the Birmingham airport, I responded to her comment and heard about a few things her daughter and I had in common. It only took a few more minutes to hear her story: her son recently died in an accident and she now lived out west to help the family he left behind. Listening to her story led to an opportunity to talk about faith in the midst of crisis. But it all started with my watch. In the conversation I had with this woman, I experienced what Michael Zigarelli talks about in his book Influencing Like Jesus. Much like a recipe, he offers a way to share the gospel. First, find a similarity. As conversation develops around something in common, even in a matter of moments, a relationship can form. Relationship leads to trust, and trust opens the door to influence. Along with this recipe, a verse in Proverbs has been a game changer for me. As I prayerfully and patiently apply my heart to ordinary moments, I discover ways to share the gospel. Recently a young man recognized the county on my license plate while I was visiting my hometown. It turns out I now live in his hometown! Shared geography led to a great conversation. Next time I visit, I will be sure to find him and continue to share with him about the kingdom of God. I’d love to tell you every evangelistic effort leads to someone surrendering to Christ. You probably know it does not. But I will tell you this: no gospel conversation is wasted. God uses every effort we make towards others to help them on their journey to Him. A conversation I had while eating at a restaurant in Reno reminds me of this. Enjoying the thoughtful service of my waitress, we talked as she worked. She heard my southern accent and wanted to know where it came from. That question led to more sharing about our lives, which opened the door for me to invite her to church. She came and heard the gospel. A few weeks later she moved to the Northeast and went to a church where she gave her life to Christ. She moved again to Florida and was baptized. Everywhere she went she encountered people who were willing to talk to her—and share the gospel. Evangelism isn’t confined to a stage or worship service. Evangelism is in ordinary moments. Who will you encounter today? 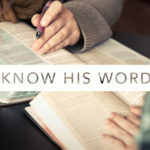 How can you connect with people and begin a gospel conversation? Share your stories of sharing the gospel in the comments below! Lorna Bius has served in ministry for 25 years, first in youth ministry, and then as a missionary with the North American Mission Board. 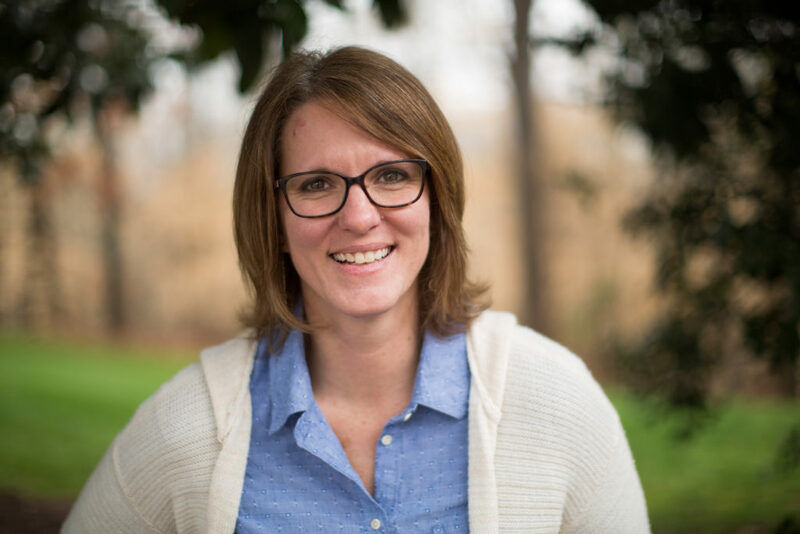 She now lives in Clarkston, Georgia, and works with Send Relief, mobilizing churches in mercy ministry to local communities. In her work, Lorna advocates for believers to respond in biblical compassion to neighbors and nations. NEW! 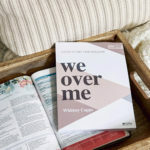 We Over Me | Read an Excerpt!